New businesses, even ones as specialized as RV Collision of Louisiana, require time to build an online presence. While it’s important to create a website, social media accounts, and make sure you’re listed in Google My Business, these efforts only scratch the surface of how and where potential clients can find your company online. 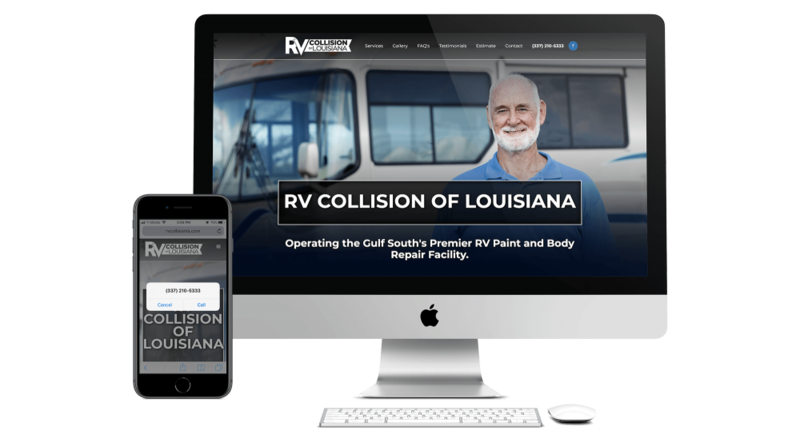 RV Collision of Louisiana built an impressive, full-service RV repair shop in Scott, Louisiana, and they needed our digital intelligence team to give their new business and services an online boost. RV Collision of Louisiana owners took all the right steps a new business should. The company’s website is easy to navigate, lists its services, contains contact information, and displays images of the work they’ve completed for clients. However, Google didn’t know about any of it. Even the company’s location was showing in the wrong place on Google Maps. When a new business tries to build an online presence, navigating the quirks and rules of Google can be tricky and leave the company name and services on the dreaded second page of search results. As with any new client, our digital intelligence team met with RV Collision owners to learn about the company, understand the services they offer, and dig into their current strategies. It is also important for our team to develop customer profiles to identify the possible behaviors of potential clients. Once our team had a strong grasp of RV Collision of Louisiana’s services and clients, we began with the long-term strategies that increase search ranking and maintain a Google-friendly online presence. Building an online presence requires time, both in working hours and duration, to see notable results. Luckily, our digital intelligence team not only has powerful tools and incredible patience they also have a strong knowledge of the expansive resources that build a business’s online presence and help land keywords on the first page of Google searches. 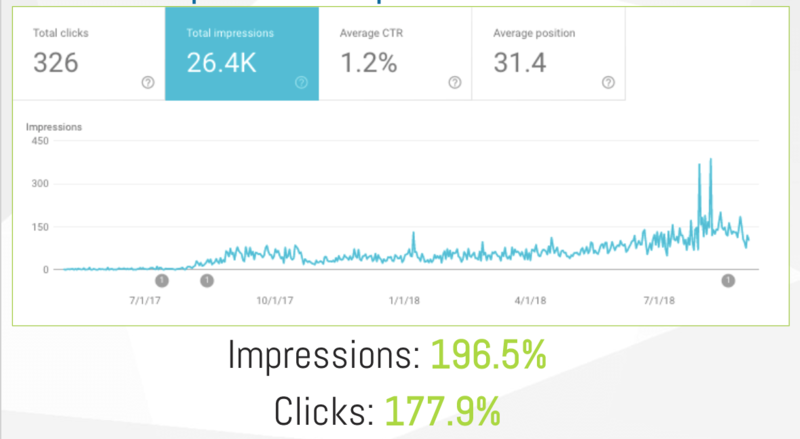 Over the course of a year, our digital intelligence team utilized every corner of the internet, including running Google ads, to build RV Collision of Louisiana’s search ranking, impressions, phone calls. 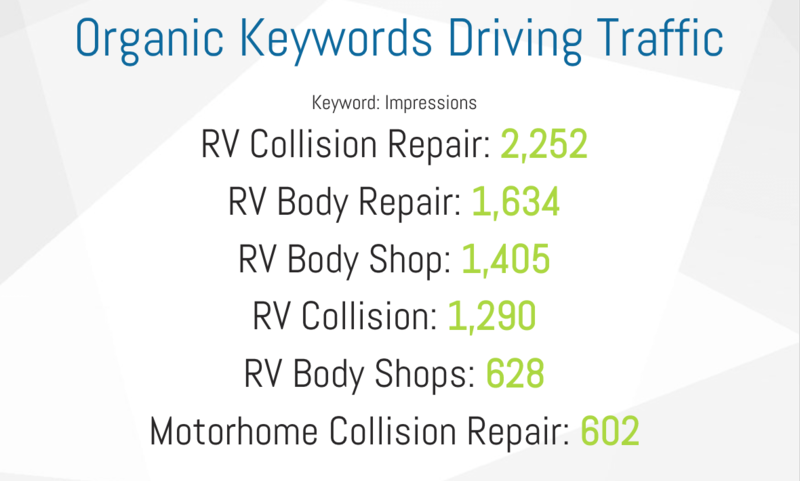 These efforts over time boosted their website ranking to the first position for local “RV collision repair” searches, which lead to over 150 phone calls in a year. These successes have quickly established RV Collision of Louisiana as one of the top RV repair shops in the state and have even attracted customers all the way from Texas and Mississippi. The real measure of success in any digital intelligence project is the number of leads that convert into paying customers. Through RV Collision of Louisiana’s commitment to digital intelligence, we were able to confirm 4 lead conversions for the company. For this industry, that increase in sales meant hiring more workers! Our digital intelligence efforts nearly doubled both impressions and website clicks from the previous year. RV Collision of Louisiana’s website ranks first for local “RV collision repair” Google searches, which also counts for the highest number of impressions.